Concrete Restoration Systems provides high-quality waterproofing services to residential and commercial clients throughout Los Angeles, Long Beach, Anaheim, Irvine, Santa Ana, San Bernardino, and Riverside. 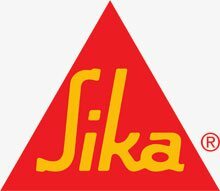 We use the industry's best waterproofing systems manufactured by Sika, SealBoss, WestCoat, Tremco Inc., and Master Builders Solutions by BASF. Our experienced waterproofing applicators participate in ongoing training to stay up-to-date on the latest waterproofing solutions and application techniques. With over 28 years of experience and thousands of satisfied customers, we've earned a reputation as Southern California's trusted source for wood and concrete waterproofing services. Concrete waterproofing helps prevent water from seeping into cracks and damaging basement walls, garage floors, block walls, pool decks, and more. A professionally-installed waterproofing system acts as a stringent barrier to water infiltration. Natural settling of buildings onto their foundation can cause cracks and gaps in the concrete that are vulnerable to water damage. When water damage occurs, your concrete structure may show signs of deterioration and white chalky streaks from calcium deposits. The experts at Concrete Restoration Systems will accurately diagnose and repair any concrete damage before applying a new waterproofing system. We offer durable slip-resistant coatings that are available in a range of colors and decorative faux finishes. A properly installed waterproofing system helps preserve the lifespan and appearance of wood surfaces by protecting them from warping, mold, splinters, and discoloration caused by water damage. We use superior waterproofing systems and offer a variety of colored and textured decorative finishes to provide long-lasting results that are durable and beautiful. For the best results, the wood surfaces need to be properly cleaned to remove dirt, mildew, and weathered coatings before applying a new waterproofing system. When you hire an experienced contractor like Concrete Restoration Systems, you can be assured that we're going to follow the best practices for application recommended by both the manufacturer and our industry. Waterproofing systems provide protection for 5 to 10 years, but should be reapplied every 5 years for optimal results. Concrete Restoration Systems is a licensed and insured speciality contractor with decades of experience waterproofing wood and concrete surfaces. 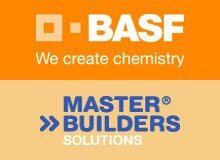 We're approved applicators for SealBoss, WestCoat, BASF Master Builders Solutions, and Sika, and we guarantee all our work. 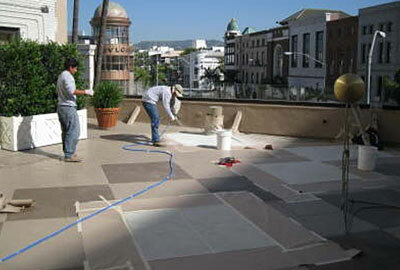 We also offer below-grade waterproofing services, which you can read about here. Call today to schedule a free on-site consultation for our wood or concrete waterproofing services in Los Angeles, Orange County, Riverside, or San Bernardino. You can always count on Concrete Restoration Systems to provide honest, straightforward recommendations and accurate, upfront quotes.